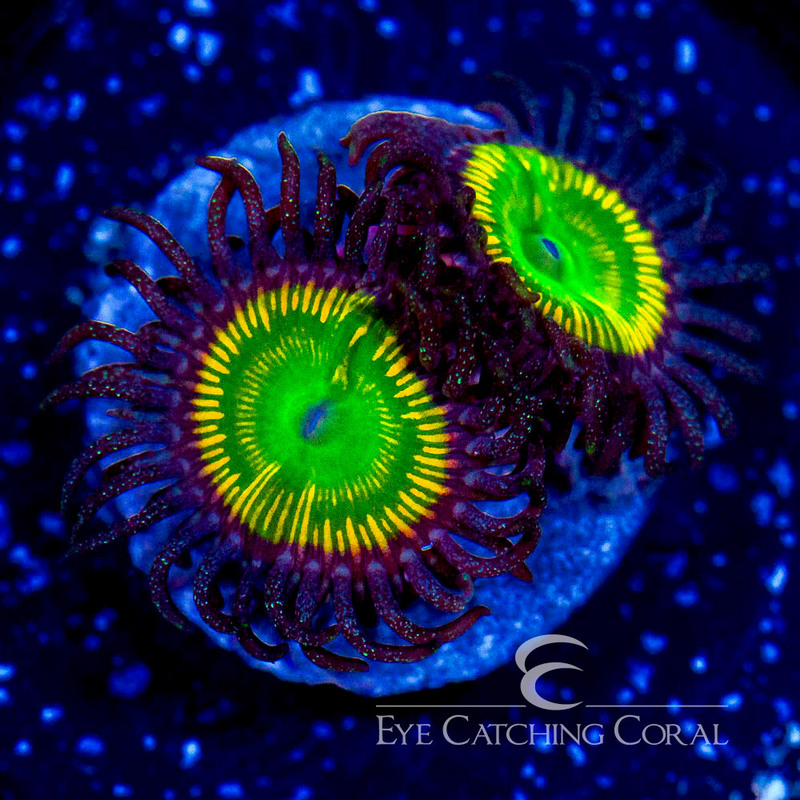 ECC Ultra Sunny D's have a solid green oral disc with bright orange streaks in it that radiate out like sun rays. We got this palythoa from Tidal Gardens in early 2018. We are wholesale only, if you are a store please login to view pricing. If you are a hobbyist, please have your local fish store contact us for an account. 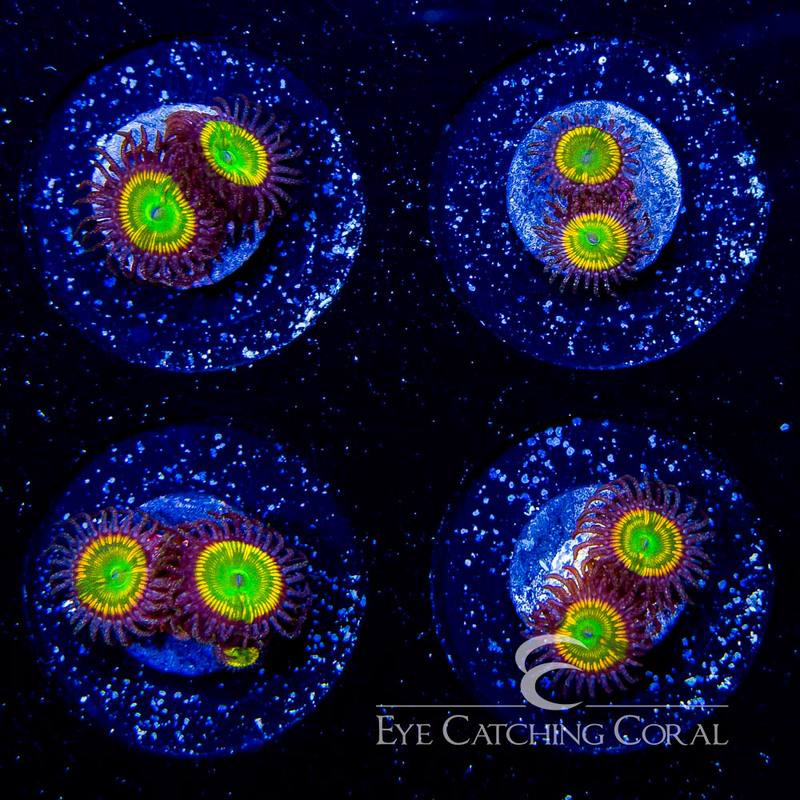 Eye Catching Coral is wholesaler of Live Coral from Australia, Indonesia, Vietnam, and other desirable areas. We are recognized as the industry leader in high quality coral. WYSIWYG: 4.17.19 | ITEMS WILL POST TODAY AT 12PM EST! FRAG FRIDAY 4.12.19 | ITEMS WILL POST FRIDAY AT 12PM EST! WYSIWYG: 4.11.19 | ITEMS WILL POST TODAY AT 12PM EST! WYSIWYG: 4.3.19 | ITEMS WILL POST TODAY AT 12PM EST! We are offering new customers $100 off their first order of $500 or more. That is a huge savings and will help you decide if our company’s corals are a good fit for your store. Sign up for a new customer account and simply mention this offer to receive your $100 discount. This only applies to customers who are ordering from us for the very first time.